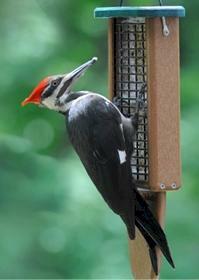 The EcoTough® Double Tail Prop Suet Feeder lets birds eat in a natural way. The paddle simulates a tree trunk and offers birds a place to prop their tail while they feed. 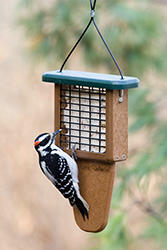 Our feeder holds two suet cakes, is easy to fill and hangs anywhere. Also comes as a one suet feeder.